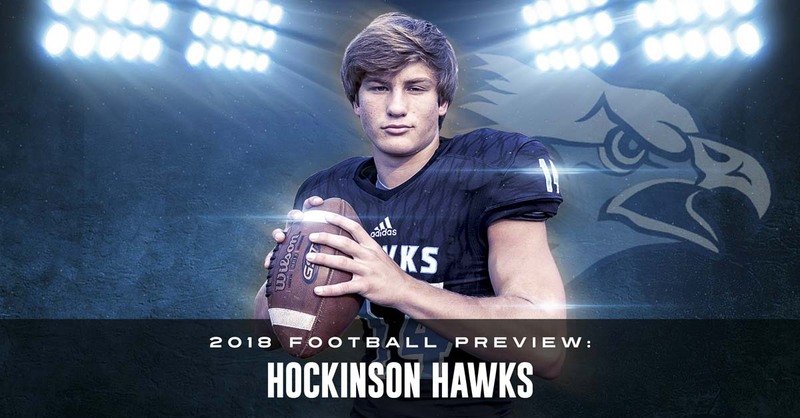 Levi Crum says there is no pressure taking over as the starting quarterback for the defending state champion Hockinson Hawks. He has, after all, prepared for this opportunity for years. Plus, he said, he has plenty of help from talented teammates. Photo by Mike Schultz. Edited by Andi Schwartz. 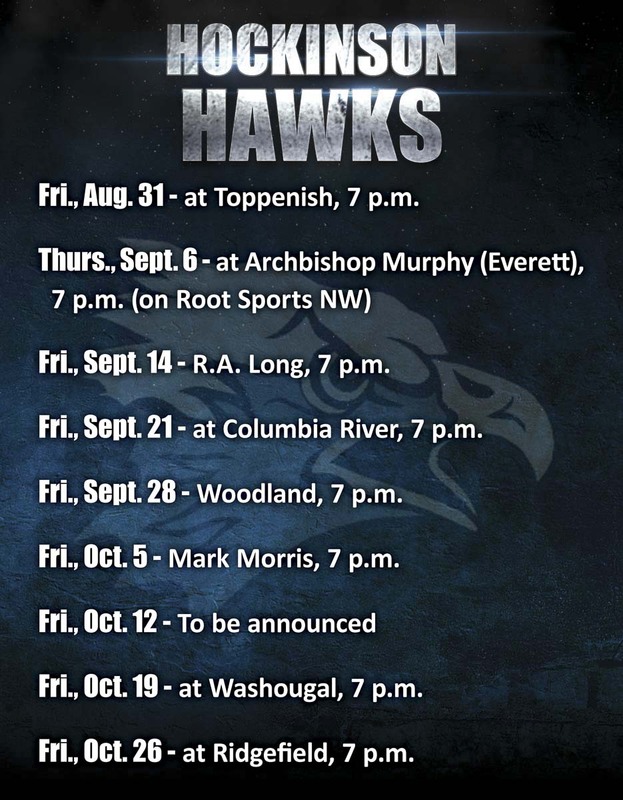 The Hockinson Hawks have won 43 football games the past four years with a simple, yet effective, philosophy. In other words, congrats on the victory, now let’s work on the next victory. For one specific position, Crum is the next one, taking over for one of the greatest quarterbacks in Southwest Washington high school football history. 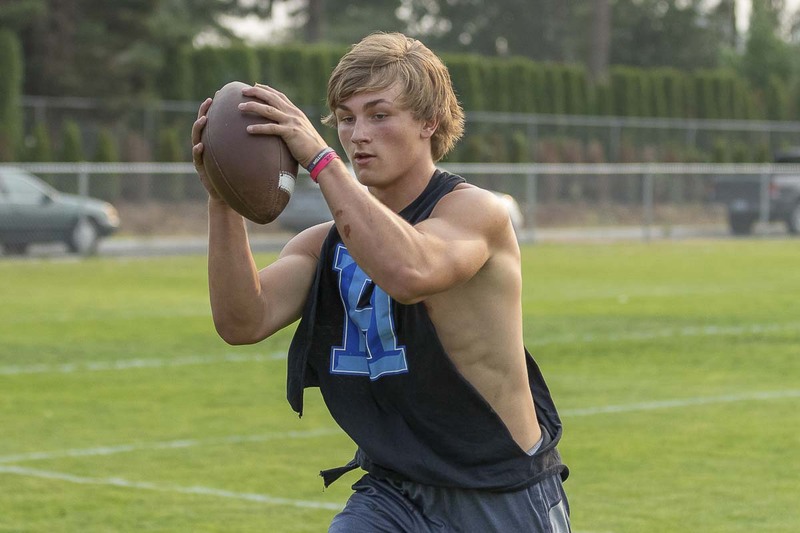 Canon Racanelli led Hockinson to a 14-0 season and a Class 2A state championship in 2017. He’s off to college. Next up, his cousin. That would be plenty good, too. And Crum knows he is capable of doing just that as he enters his junior season with the Hawks. He knows it is his time to play quarterback, but he does not need the spotlight. Read the defense. Get the ball to the right people. Let them do their thing. “That’s the way I’m looking at this season,” Crum said. There is some pressure, albeit internal. The 2018 Hawks want to do exactly what the 2017 Hawks accomplished. Before the playoffs, there will be a tough non-league schedule before playing in the 2A Greater St. Helens League. Last season, the Hawks were not tested in league. That set up a memorable November, and then the trip to the Tacoma Dome. Last December’s championship game sparked a longer-than-usual celebration for the Hawks. No more games to play that season, it was not necessary to have an “on to the next one” mentality right away. Crum said the Hawks gave it about a week. “Then it was our turn to do our thing, to lift and get better on our own before this season,” the quarterback said. The 2018 Hawks, like all other teams in August, are 0-0. True, but they do have a target. That trophy. Those championship rings. They belong to the Hawks now. 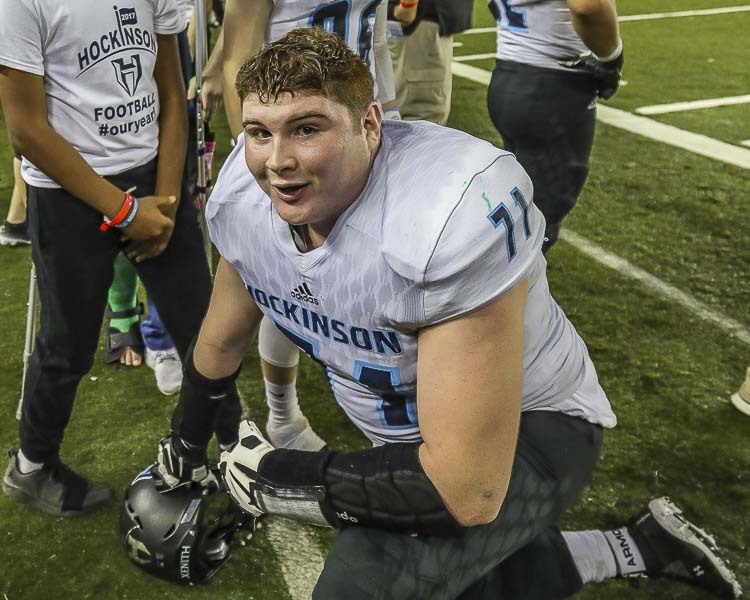 Prior to 2017, Hockinson had never reached the state semifinals. “I definitely think people know where Hockinson is at, for sure,” Crum said. Crum does have some varsity experience at the position. He played some fourth quarters last season, plus he had one snap in the championship game when Racanelli needed a quick breather. Now, it is Crum’s offense, in terms of the quarterback being the leader of any offense. He defers, though, to others, those playmakers. 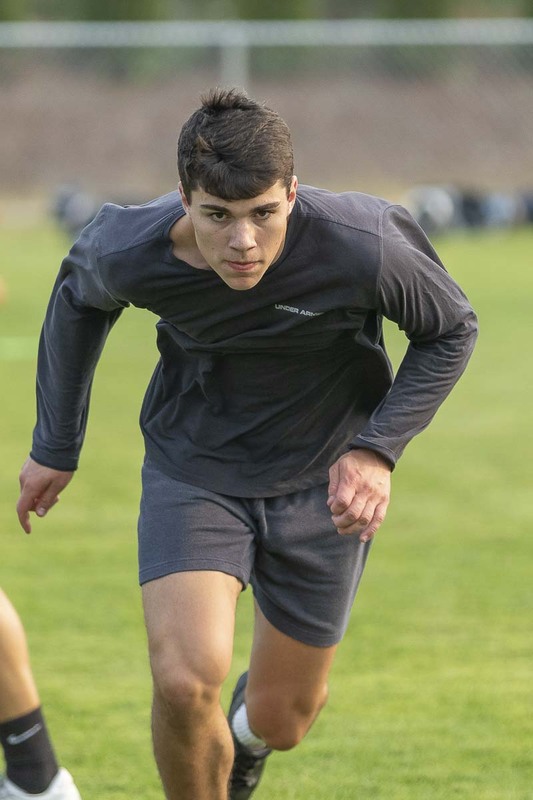 Sawyer Racanelli, also a junior, is a wide receiver and linebacker and one of the top recruits in the state for the graduating class of 2020. Peyton Brammer will also make a quarterback look good with his receiving skills. 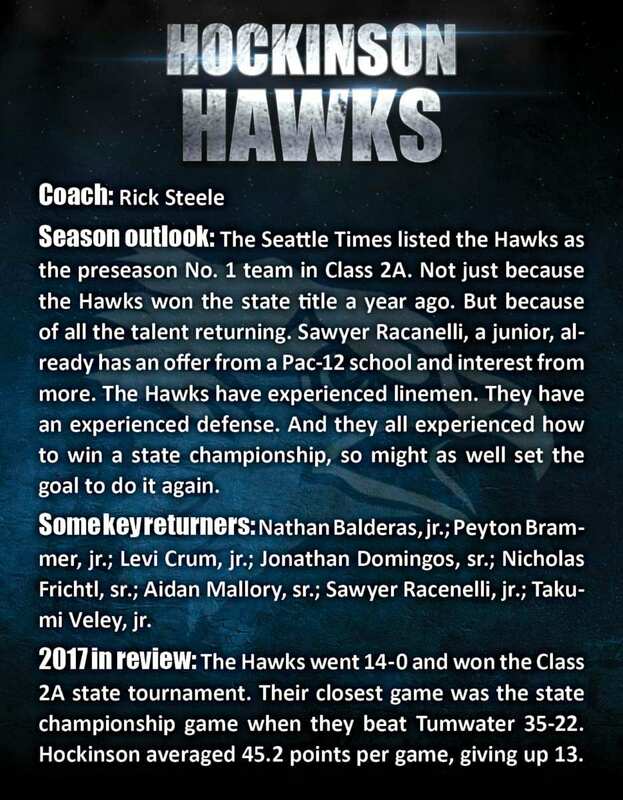 The Hawks lost did lose eight all-league players to graduation, yet they return so many experienced players, as well. Steele said all the talent around Crum will make Crum even better. The coach also said he has already seen a new player emerge in Crum. This summer, in 7-on-7 tournaments and clinics, Crum put on a show. That is the challenge for the long-range this season, for a team that expects to play a lot of games in November. For now, though, Crum has a short-term goal. Still, he understands the game within the game. The quarterback, especially for an offense accustomed to putting the ball in the air, is the focal point.